The keepers of the Doomsday Clock had not made the news in two years. I guess they decided to make a statement yesterday by moving the minute hand forward by 30 seconds. 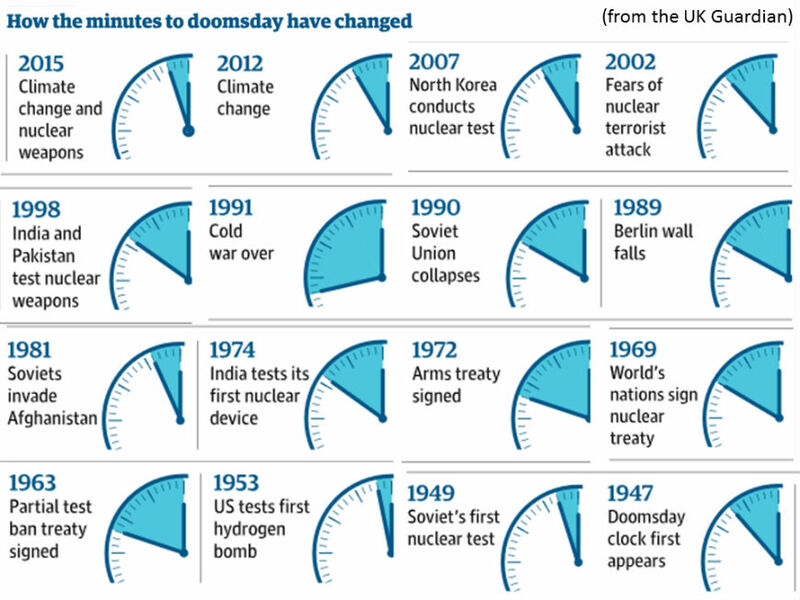 During the Cold War, the Doomsday clock and the placement of its hands was a regular sight on the national news. 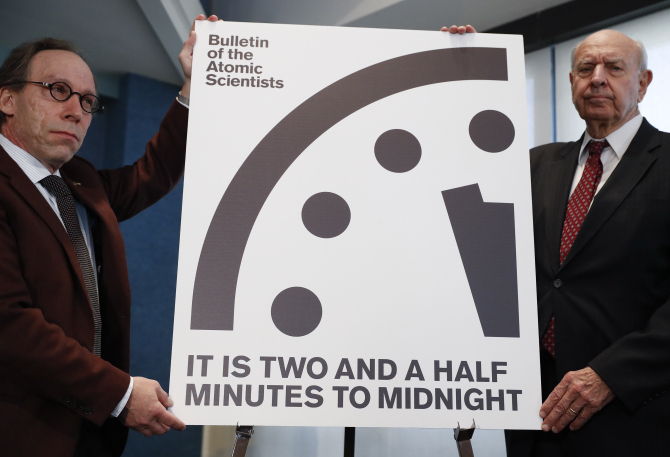 “For the first time in the 70-year history of the Doomsday Clock, the Bulletin of the Atomic Scientists’ Science and Security Board has moved the hands of the iconic clock 30 seconds closer to midnight,” the organization announced today. Apparently, the movement of the hands by 30 seconds, the first 30 second movement of the hands ever, is their evaluation of our new President's first week on the job. Some have called for the Doomsday Clock to be retired, one blogger wrote a thoughtful piece during 2012 hoping to speed along the clock's demise. The article, The Doomsday Clock moves toward Midnight? Meaningless appeared in The War Room, a blog about Politics and Foreign Policy which ended its run during December 2016. 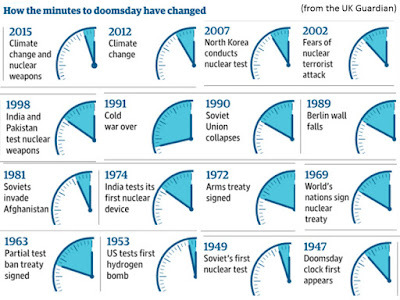 It is kind of scary that the Doomsday Clock is back in the news. I guess it has been an unsettling first week on the job.